I'm taking a break from photo tips in this issue to provide some more information about the new digital SLRs of 2012. Digital SLRs are going through some changes these days, thanks in some part to a new breed of cameras called Mirrorless System Cameras. Mirrorless Cameras include a variety of new technologies that are just starting to transfer over to digital SLRs. I think that it's safe to expect that pretty soon any feature available on a Mirrorless Camera will also be included on a digital SLR. 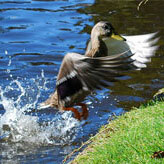 The Digital SLR Guide is also on Facebook. 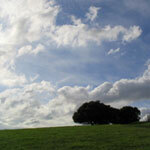 If you're on Facebook, drop on by to get updates about new digital SLR cameras and photo tips. So what IS a mirrorless system camera? Simply put: it's a digital SLR without an optical viewfinder. 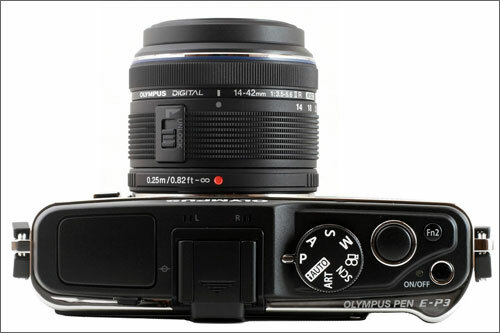 The optical viewfinder is what you use to compose your photos when you're using a digital SLR. When you look through the viewfinder, you see EXACTLY what the lens sees, which makes it easy to compose your images precisely. This is made possible via reflective glass surfaces (either something called a pentamirror or a pentaprism) that bounces the image passing through the lens up to the viewfinder. The nice part about this system of mirrors is that even if you have to move the camera quickly to track a moving subject, the image in the viewfinder remains clear. The drawback to the mirrors is that they take up a considerable amount of space, which is why digital SLRs are larger and heavier than their compact cousins. As the name implies, a Mirrorless Camera eliminates this system of mirrors and the optical viewfinder along with it. The net result: cameras that are MUCH smaller and lighter (close to digital compact cameras) that retain all the other features of a digital SLR: interchangeable lenses, custom image controls, High Definition video, etc. Panasonic and Olympus were the first camera companies to dabble in mirrorless technology, but Sony, Samsung, Nikon, Fuji and Pentax soon jumped in as well. While Mirrorless Cameras borrowed many of their features from digital SLRs, they also developed some new technology of their own. Some examples include: flexible LCD screens, fast autofocus in live view and movie mode, touch-screens and high-resolution electronic viewfinders. While some of this sounds like bonus extras to get you to pay more, features like a touch screen can be genuinely useful. The first time you use a touch screen to set a focus point, you realize how MUCH better it is than using knobs and dials (as I recently discovered when I took the Olympus E-P3 for a test drive). The transition of some of these features to digital SLRs has begun, as you'll see in the new cameras of 2012. This new model from Sony (release date: April 2012) continues to expand Sony's line of SLT cameras. Why SL-T instead of SL-R? SLR stands for "Single Lens Reflex" and the "Reflex" part of the name refers to that system of mirrors that provides the camera with an optical viewfinder. One mirror inside every SLR is of particular importance: it's one that sits right in FRONT of the camera's sensor. Every time you take a picture with a traditional SLR, that mirror needs to flip up out of the way so that the sensor can be exposed to light. Sony solved these issues by creating the Single Lens Translucent camera: instead of a 100% reflective mirror, SOME light is allowed to pass through the mirror to the camera's sensor. 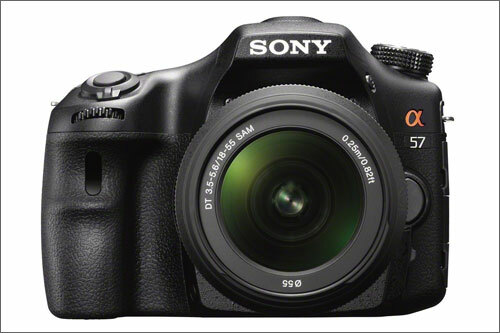 Even though the Sony SLT-A57 has the size and shape of an SLR, it operates more like a Mirrorless System Camera. One notable similarity is that the SLT-A57 has an electronic rather than an optical viewfinder. While electronic viewfinders are prone to some image blur when you move the camera fast, the latest generation have significantly improved image quality. Bottom line: if you want to take lots of video with your SLR and also want the ability to take very rapid consecutive shots, then the Sony SLT-A57 is a camera to consider. 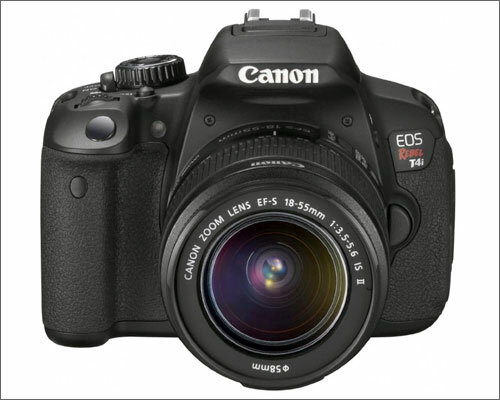 The new Canon Rebel T4i 650D (release date: June 2012) includes two features borrowed from Mirrorless System Cameras. The first is its touch-screen LCD. Even though touch-screens have been available on Mirrorless Cameras for some time now, the T4i is the first DSLR to include this feature. You can use the touch-screen to adjust camera settings and to review photos that you've taken (using swipe to scroll through them and pinch to zoom in on a single image). The best feature - in my option - is the ability to select specific focus points just by touching locations on the LCD. Imagine that you're taking a picture of a friend and that you want to position your friend on the left side of the photo. Typically a multi-point autofocus won't have trouble focusing where you want, but for maximum precision, you can just touch the LCD to set the focus point directly over your friend. This will help ensure that the camera doesn't "accidentally" lock focus on the background. The second enhancement that the T4i 650D gets is improved autofocus speed in live view and movie mode. Canon has achieved this while still retaining the mirrors and optical viewfinder. At this point it's hard to say if this system will work as well as Sony's SLT solution, but it's a promising step forward for the "traditional" digital SLR. Borrowing nothing at all from Mirrorless Cameras, the new Pentax K-30 (release date: July 2012) stands on its own in all kinds of weather. The entire camera body is weather-proofed, keeping out dust and moisture. It can also be used in very cold climates, down to 14° F or -10° C (not exactly prime photo conditions). Like the Sony SLT-A57, the K-30 has a built-in image stabilization system that helps reduce motion blur from camera shake. Put another way: the K-30 is a good option if you want to take hand-held pictures of non-moving subjects in very dim available light (galleries, museums, aquariums, etc.). The beauty of the stabilization is that it works with ANY Pentax lens you attach to the camera, and there are a LOT of new and older Pentax lenses to choose from. Finally, for those who enjoy knowing where they've been, the K-30 is compatible with the optional O-GPS1 unit that will tag each and every photo with location information. 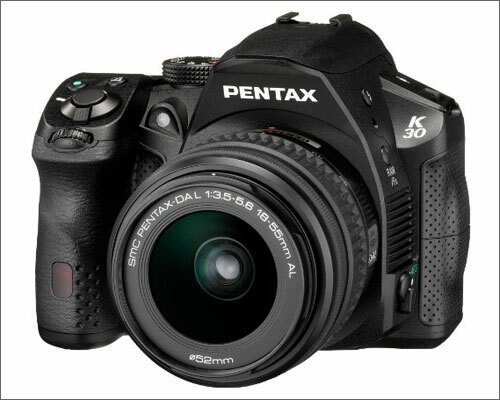 The K-30 camera body is available in black, white and metallic blue. I recently had some fun on the Digital SLR Guide Facebook page, asking readers what non-existent feature they would most like to see on the next generation of digital SLR cameras. There were a wide range of responses and some that actually might be pretty close to reality like built-in wireless connectivity and location tagging (GPS). One big change that is on the horizon is the availability of more affordable full-frame digital SLR cameras. Canon, Nikon and Pentax are all rumored to be working on new models. The move to larger full-frame sensors actually makes a lot of sense. As mirrorless cameras become more mainstream, the SLR will need to set itself apart. 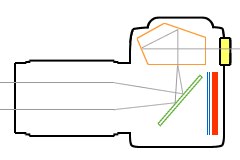 One way to do this it to make the move to larger sensors which provide superior image quality, especially in low light. The trick is to keep the price of such cameras under $2,000 USD so that they are more within the budget of the general public. Of course, if one could be made for less than $1,000 USD that would be even better. We'll just have to wait and see. Until the next issue - happy picture-taking!